With PoE (Power over Ethernet) technology, an Ethernet cable can carry power in addition to data. PoE can supply operating voltage to PoE compatible networked devices, such as a WLAN base station, an IP camera, a VOIP phone or IoT device. The original IEEE 802.3af-2003 PoE standard provides up to 15.4 W of DC power (minimum 44 V DC and 350 mA) supplied to each device. Current IEEE standards can handle maximum power up to 30 watts and non-standardized solutions up to 60 watts. New IEEE 802.3bt standard that will be completed in 2018 will increase maximum power to almost 100 watts (71 watts to powered device available). I have written an article on the new PoE standard to Uusiteknologia magazine issue 01/2018. 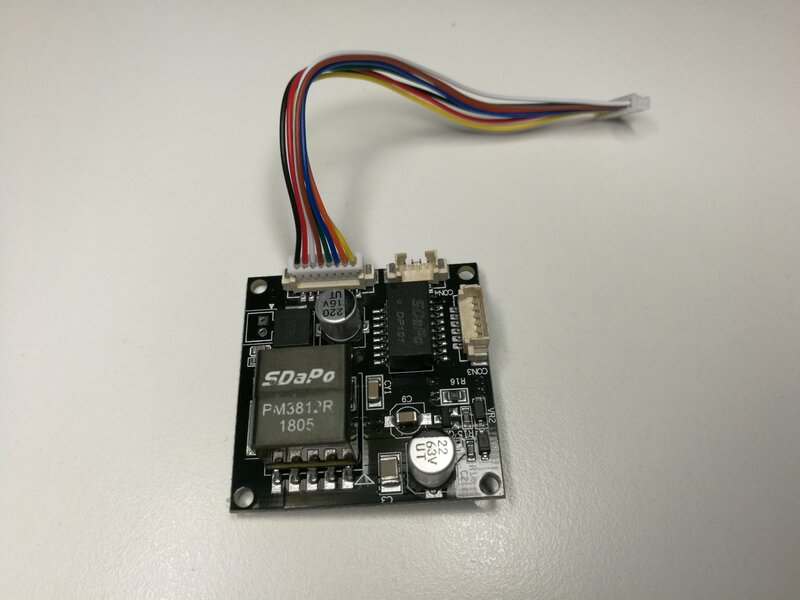 The module comes with two page wiring diagram + datasheet. The price is pretty reasonable around 4 euros. This device is clearly a module designed to be integrated inside some network camera. But as such this looks like this could be useful for DIY applications. Here is close-up to the component side of the module. On the bottom left there is Ethernet transformer. On the upper right corner there is the switch mode power supply power isolation transformer that is used for converting 37-57V voltage to isolated 12V together with the control IC and handful of other components. On the bottom side the main active components are two M86S bridge rectifiers (top left) and the main control IC (on the center) with marking 3812R. It is nice that there are clear markings for different connector pins. The connectors on the top left corner are designed to be connected to RJ-45 connector and most numbers refer to pins numbers in it. In addition there is input for external 12V input. On the right side there is 12V output. The connector that has colorful wires on it is designed to be connected to network camera motherboard (which I don’t have). For testing I soldered wires for the 12V output. Because I did not have suitable cable set I could plug to power in connector, I had to solder two wire-wrap wires directly to the connector pins. Here is the final test setup for testing. The power supply worked pretty well.The PSE could nicely detect it and start to send power to it through Ethernet wiring. I could use this PSU module to power few watts 12V light bulb nicely. If I tried to connect too powerful load, the power feeding to output stopped. The output voltage was pretty close to 12V. The data sheet promises up to 1A current from it. I also did some testing on isolation capabilities of this circuit. I measured the isolation between Ethernet side and 12V output side, and I got “open circuit” reading with insulation resistance meter at 250V, 500V and 1000V test voltages. It seems that this 1500V PM3812R Male Isolated POE Module for All Network Cameras seems to be do well that it promises to do. 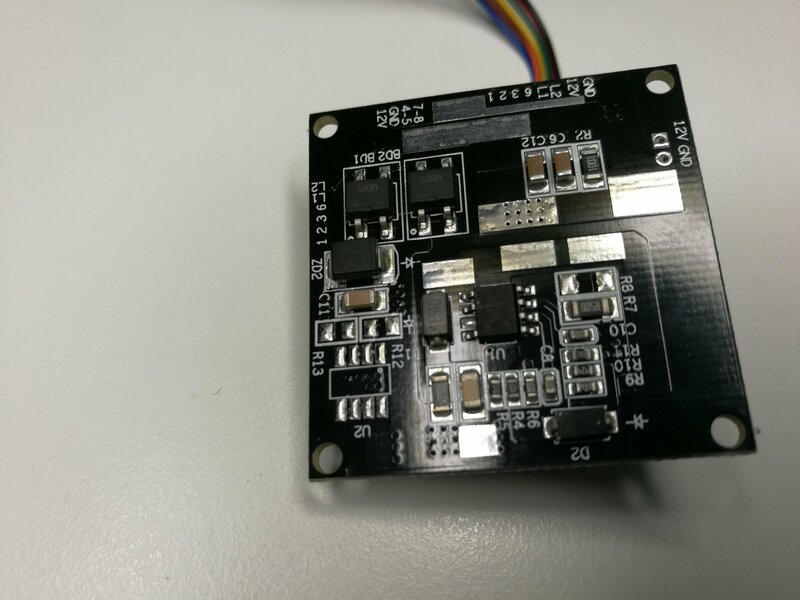 The downside is that this module has tiny special connectors for which I don’t have suitable wire set (I don’t know where to get). [Jason Gin] has taken an old, cheap passive PoE splitter and upgraded it to be 802.3af compatible (an active device). 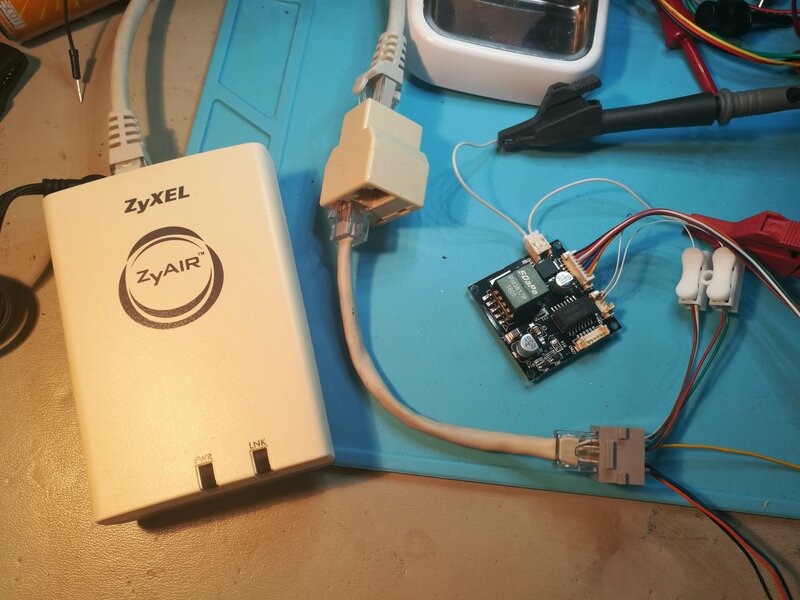 The DWL-P200 is a near-ideal candidate for conversion to 802.3af/at (I’ll call it “active PoE” from now on) since it already uses 48 volts for power – all it really needs is an active PoE-compatible front-end which requires an Ethernet isolation transformer, two diode bridges, a TVS (transient voltage suppression) diode, a 802.3af PD controller chip (and a partridge in a pear tree?). Easy enough, right… right? 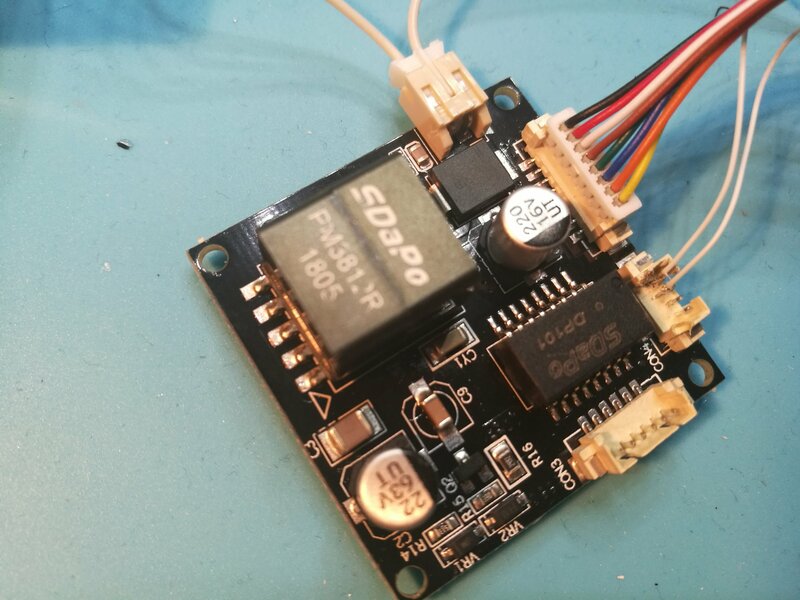 The power input board is pretty simple and was comprised of two Bourns CD-HD201 60-volt Schottky diode bridges and a SMAJ58A 58-volt TVS surge suppression diode to help overcome voltage spikes that can occur when a cable is unplugged due to the inductance in the cable itself. The second board is the PoE PD controller, which is responsible for negotiating with the 802.3af/at PSE controller at the other end of the cable. I used the Texas Instruments TPS2378 PoE PD controller, which was meant for 802.3at Class 4 (25.5 watts maximum) but I’m only using it for 802.3af Class 0 (up to 12.95 watts). 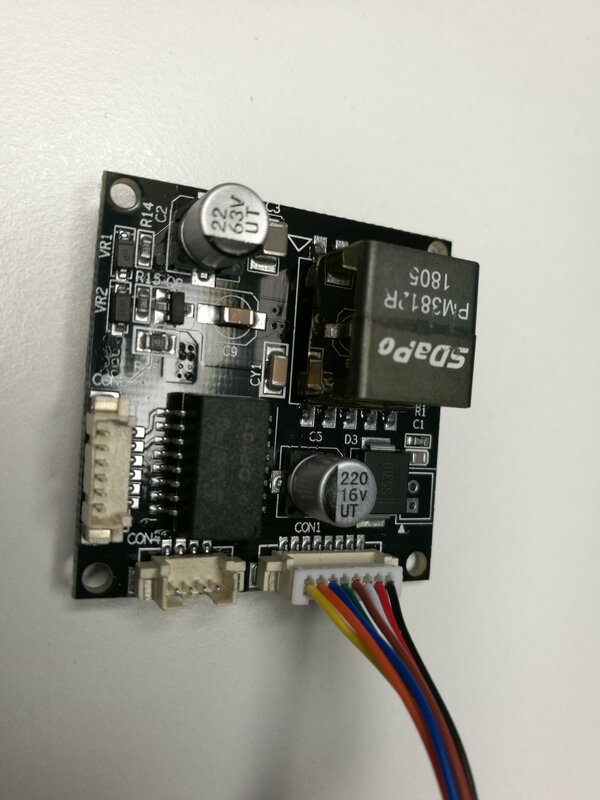 [Steve] bought a PoE module intended for security cameras and ran a close eye over the board to figure out what kind of hardware it is was using to generate the nominal 12 V output.